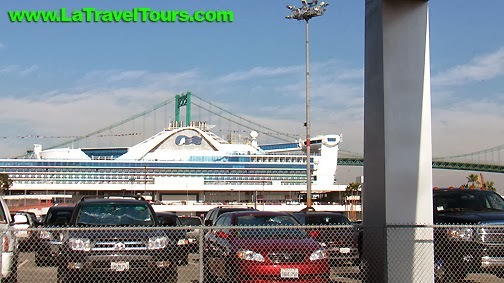 To enjoy sightseeing Los Angeles first time before or after your cruise consider booking tour and transportation package from Los Angeles World Cruise Center in San Pedro, CA. Los Angeles day tour bus will pick you after your disembarkation from Princess, Norwegian, Crystal or other cruise lines and start the tour. During the tour we will visit Los Angeles famous landmarks, Hollywood Sign, Hollywood Walk of Fame, Hollywood movie studios, Beverly Hills, Bel Air, Farmers Market and The Grove, Griffith Observatory, Santa Monica Pier. At the end of the tour our guide will drop you off at LAX or any hotel in Los Angeles.Your luggage will be stored on-board our bus.